Hey guys I used to have alot of snakes growing up with my uncle and brother. Now that i have my own little family i have decided to get back into snakes and o boy have i missed them. 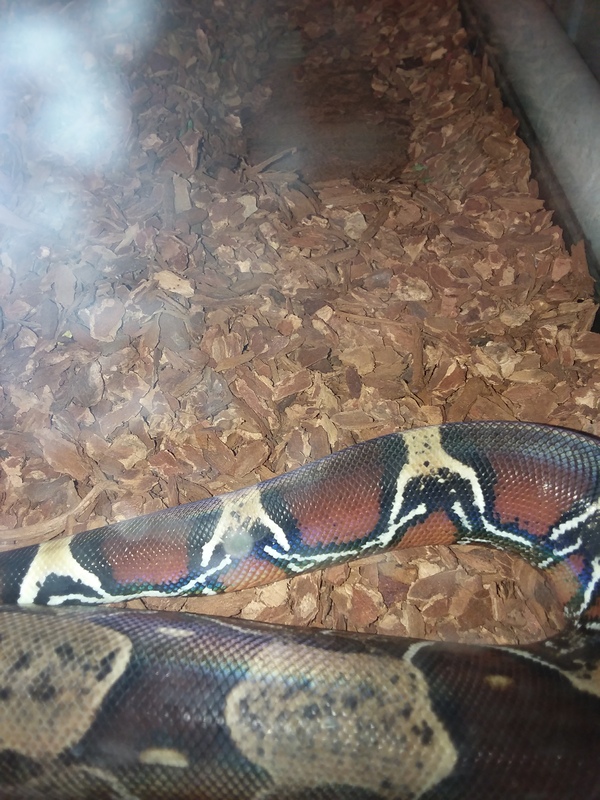 Anyways I recently acquired a beautiful just under 2 year old male suriname RTB. 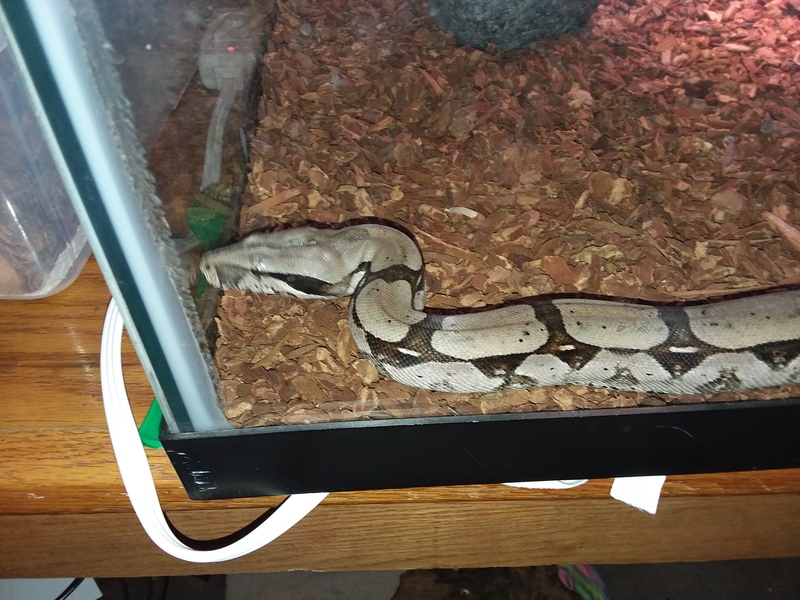 After seeing my almost 5 year old daughter's absolute fascination with him we decided to find her a smaller more handleable snake. 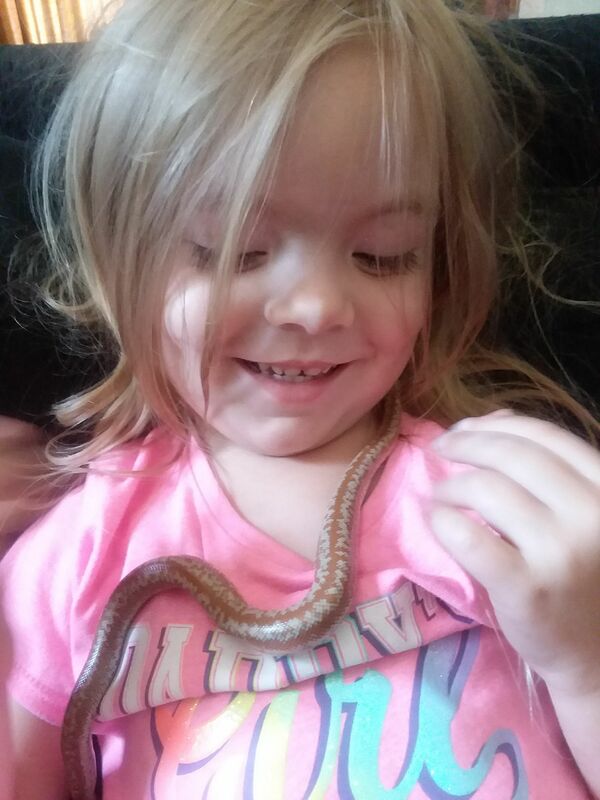 After looking at just about every snake possible she fell in love with a male rosy boa. The small hole in wall shop didnt know much about him but its the one she loved out of at least 20 different shops. I believe he is a year or so Bay of La limburg but i could be wrong. Welcome and best wishes Dom. It's awesome that you're back in the hobby and bringing the family along. Please share pics of your critter when you can. Welcome aboard and nice job getting your daughter interested in reptiles at such a young age. It will stick with her forever. Take care and please feel free to jump in on any discussions you see posted here. Congrats on getting back into the hobby and sharing your love for snakes with your daughter, super cool. Last edited by Dom559; 07-06-18 at 01:07 AM.. I waited too to get back in the hobby until my youngest was about 13 or 14...really it's when we bought a bigger house. But he knew about my previous snakes and always to get some again. Well he's 21 now and moved out 3 years ago. He's got more than I got now lol. But it is fun to get back into it and bring your kids into it too. 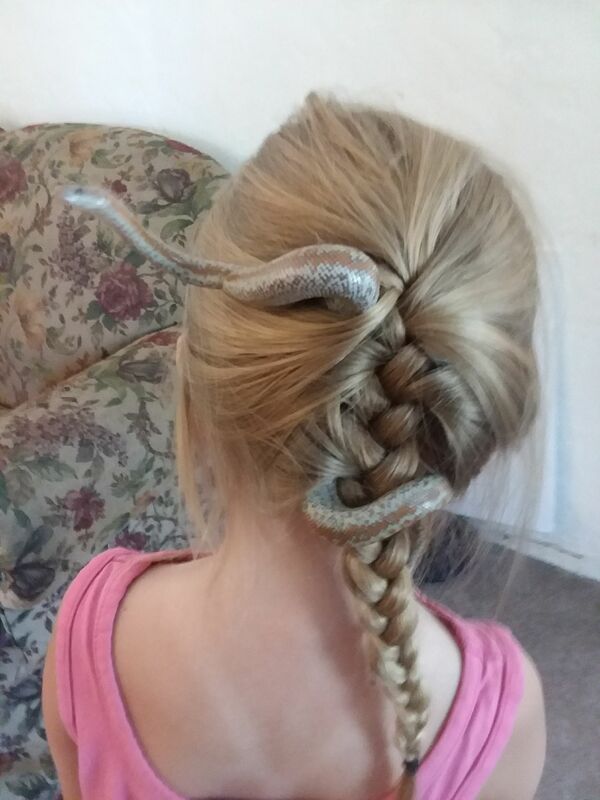 You're daughter is looking like the happiest girl in the world...snakes are great for bonding. Those are some nice snakes. That's awesome. 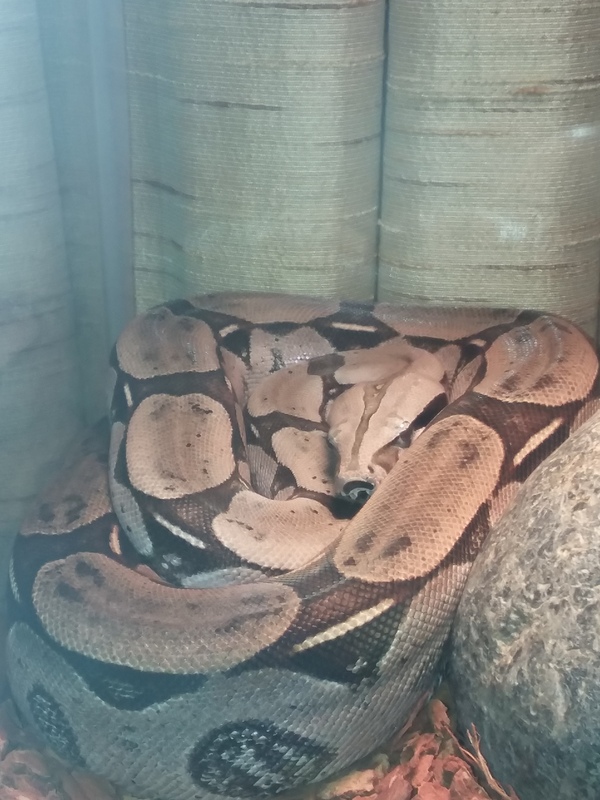 Yeah she knew about my snakes and even though shes barely turning 5 shes very responsible and showed a major interests in them. She has been keeping a closer eye on his humidity levels and heat levels better than I lmao. Thanks we have fell in love with them lol. Can anyone verify if the rosy is a Bay of la limburg?